By Gerhard Uys. January 11, 2019. This story was originally posted in farmer’s weekly. Many factors influence the current forecasts for the South Africa maize crop and maize prices, and the current drought conditions, in especially North West and some parts of the Free State, should not be compared to the conditions and prices experienced in 2015/2016, according to Wilbie Venter, a grain trader at Unigrain based in Randfontein. This comes after the Bureau for Food and Agricultural Policy (BFAP) said a total maize crop of 10,4 million tons was expected, compared with the 12,9 million tons forecast by the Crop Estimates Committee. 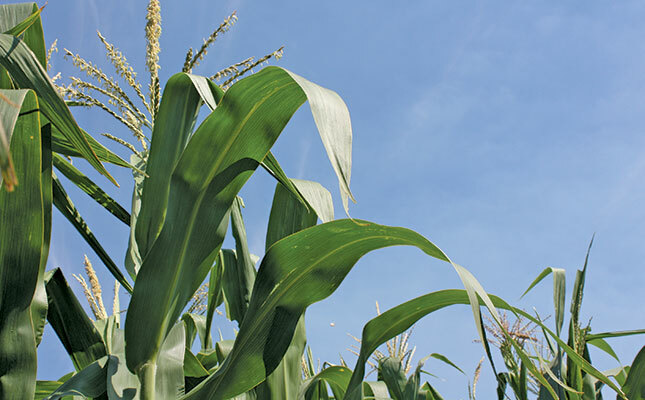 Farmer’s Weekly had previously also reported that some maize producers had said they were only able to secure a maize price of R2 900/t for the coming season, compared with R4 900/t in 2016. BFAP had warned that the current drought could also result in staple food prices reaching double-digit inflation figures. “Firstly, we have a stronger rand [now]. On 15 January 2016, the rand closed at R16,80 against the US Dollar. That’s R2 higher than the current R13,83 [11 January 2019],” Venter said. The 2015/2016 season was also preceded by three years of extreme drought, which meant soil moisture levels were very low compared with current levels, which resulted in lower crop yields. The stronger rand was thus primarily to blame for current producer prices, he explained. “At the moment there is a number of [drought] hotspot, but it does not [include] the entire maize region like in 2016. We have fewer hectares planted [than is the ideal], but are not at absolute rock-bottom,” Venter said. He added that importing maize was a viable, option as there were currently good supply levels in the global market, which meant that prices were low.